Add Tiffany & Co. to the list of retailers regaining their mojo. The luxury jeweler says thanks to increased marketing efforts, sales climbed 12% while profits jumped 16%, both exceeding industry forecasts. The retailer also raised its outlook for the rest of the year and says its dramatic new ad push is helping attract new and younger customers, as well as bringing lapsed customers back to its baubles. For the second quarter, Tiffany says revenues advanced to $1.1 billion, including gains in all product categories, and comparable-store sales improved 8%. Net earnings grew 26% to $145 million, compared to $115 million a year ago. In the Americas, sales gains notched an 8% increase, and in Asia/Pacific, revenues gained 28%. 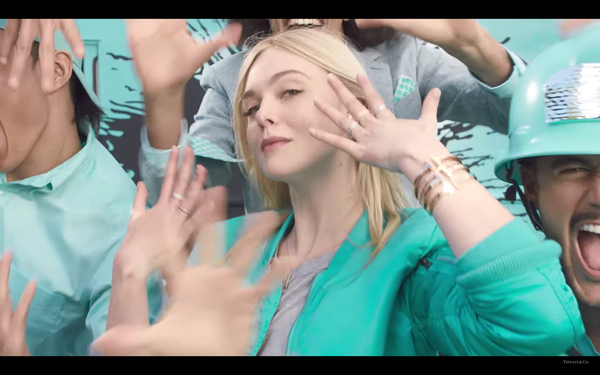 The company credited increased marketing spending for the growth, as well as the popularity of its new Paper Flowers collection, introduced back in May with a rap-and-“Breakfast at Tiffany’s”-infused campaign from Cass Bird that’s markedly different than past efforts. “We believe our evolved brand message is gaining momentum,” says CEO Alessandro Bogliolo, in a conference call to discuss the results. Besides beefing up ad budgets, the company says it also ramped up spending on technology, digital, visual merchandising and in-store presentations -- investments it says are essential for long-term growth. Earlier this month, it detailed plans for a total renovation of the New York City flagship, which it expects to complete by 2021.